This demonstration session shows how to work with an Inner Critic part. 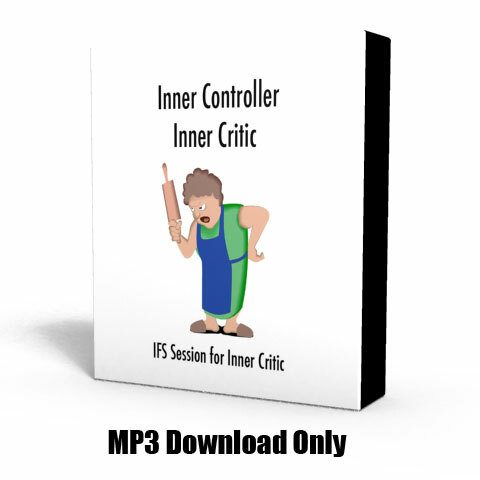 We have identified seven types of Inner Critics; this one is an Inner Controller. The Inner Controller part shames you to try to control impulsive or addictive behavior that it thinks is dangerous. It is often polarized with an Indulger Part. This is a session with an ongoing client who has been working with an Inner Controller Inner Critic. The Controller Part is polarized with an Indulger Part that indulges with food and in relationships. It is a wonderful demonstration of working with a part that doesn’t trust the Self. We are able to negotiate with the Controller to give us access to the exile it is protecting and to retrieve the exile.